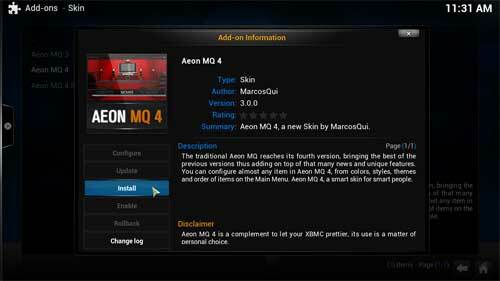 In this guide we will walk you through adding a New Skin to XBMC, the skin we will install is Aeon MQ 4. 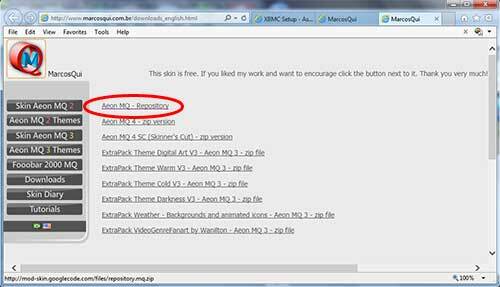 First goto the following url http://www.marcosqui.com.br/downloads_english.html and download the skin repository to your hard drive. 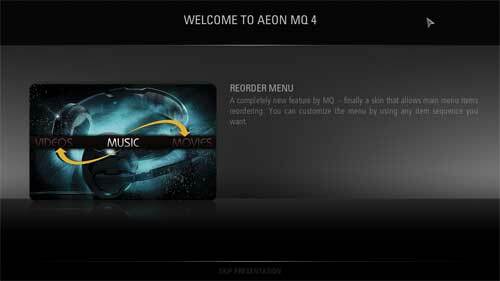 Remember where you downloaded this to. 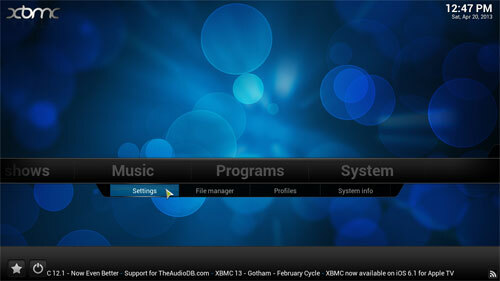 Nextt run XBMC then select “SYSTEM” and then click on “Settings”. 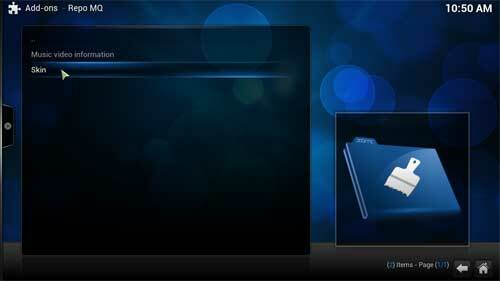 Choose the drive and then navigate to the folder where you saved the file earlier using the options to the right of the popup. 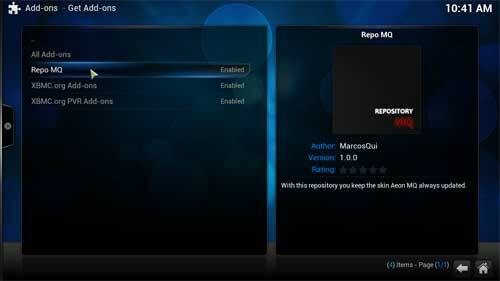 Right click on Repo MQ and the following will appear and select Skin. 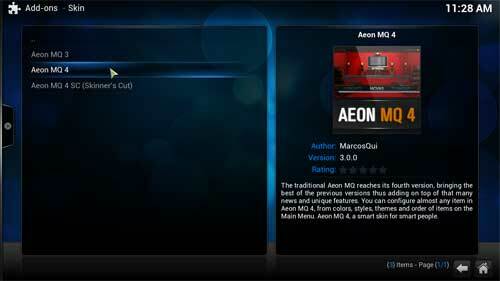 Now select the skin you want, in this exampe Aeon MQ 4 is selected. 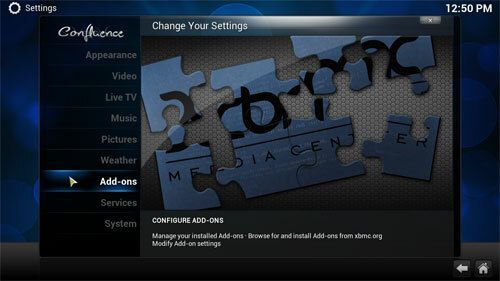 Now select Install from the window. 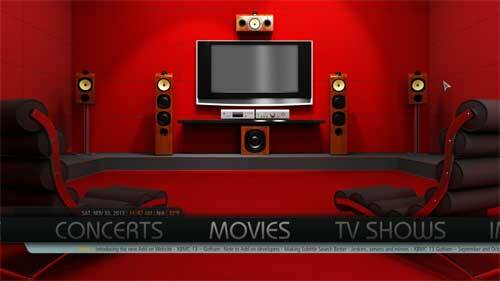 Now select Yes to activate the new skin and you will be preseted with the following. 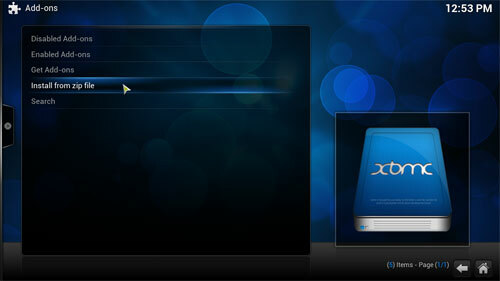 Press Esc key or use bottom navigation to exit the welcome screen and you will be presented with the actual skin. 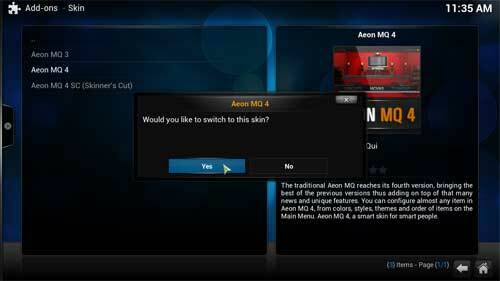 Thats it you now have a new skin istalled and running.